This past year I began to explore my options for buying a new fishing rod. Well, truth be told, I watched one of my favorite Pro's, ran down to a sporting good store and bought what the Pro was using. Good choice right? Well...NO! I have missed vast quantities of hook sets and caught 2 stinking fish with that rod. Who's fault is it - the rods, the Pro's, or my lack of knowledge at the time of purchase? 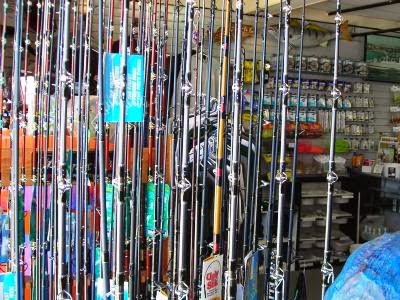 This article will hopefully take away all of the mystery in the world of rods and which one is right for you. The Pro I was watching was none other than Mark Zona on Zona's Awesome Fishing Show. He is one of my favorite guys to watch not just because he does give some great tips, but because he is one of the funniest personalities in the Sports and Outdoors TV gig. Zona was flipping weed lines and using a slip-rig. It is a lot of vertical or almost vertical fishing. In that scenario, the super stiff rod and heavy line he was using was spot on, and he caught almost every fish that bit. My problem of missing fish came when I attempted to take a rod like that and use it for all applications. On top of this, my physical limitation did not help this rod stick a fish at all which I'll explain a little a later in detail. 1. Extra Fast/Fast - Flipping or vertical cover fishing. These rods are meant to be used when you need a rod with no give. It's brute force here. 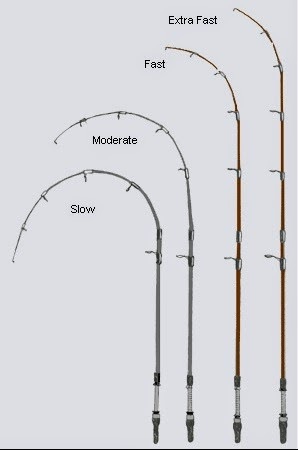 The majority of the rod is solid backbone and allows an angler to rip a fish from cover and have greater sensitivity. 2. Moderate - Crankbaits, spinnerbaits, swim lures, drop-shotting. These rods are designed to help the angler make long casts. The action of the rod also aids an angler to drive treble hooks into the tissue instead of ripping the bait out of the fish's mouth. 3. Slow - Catfishing. A catfish is caught best by simply reeling up the line and holding tension. The rod should help a fisherman drive the hook into the corner of the mouth due to it's flex. It also allows a fisherman to play the fish without breaking the line as often. So back to my miserable failure. My logic was if the rod had a fast tip, then that would help me out a lot. I could use the extra speed. Not so, in fact it works just the opposite. The faster the rod tip the more power is needed to drive the hook. I had taken a fast action rod and was attempting to use it with swim baits and such. I was missing almost every fish...why? I was literally pulling the bait out of the fish's mouth or lacked the power to drive the hook and the fish would throw the bait. Add to the action of the rod the fact that I use braided line which has zero stretch, and it was a wonder that I even caught the two fish that I did. So, I went back and used a rod I had owned forever, I caught almost everything that hit. The old rod was a moderate to moderate/fast rod. It gave me enough bend to drive the hook and yet enough strength and stiffness to know when the fish hit and not completely miss it. So, which is right for someone who is older or disabled in some way? The strength needed to use an extra fast or fast rod is likely not going to be the best option as I have already illustrated by my failure to connect. The rod is designed a specific way to help you...let it! Using a good moderate to moderate/fast, depending on your abilities, is likely going to be the best bet. Trial and error or trial and success may be the only way to know which stick is the best fit for you. Know yourself. Know your strengths and limitations and then adjust depending on the type of fishing that you are going to be doing. Funny, the two fish I caught on that new rod were both right at the bank and it was virtually a vertical hook set...go figure right? We are pleased to announce our first sponsor - SportsNation.biz. They have amazing products for hunting, camping, outdoors and leisure with super low prices. Please show your support by shopping with those great people. Use the coupon code: HUNT14 for an additional 10% off your purchases. 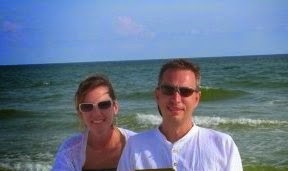 My wife and I love the ocean. We love the beach and all things saltwater however, that is not always the easiest or most convenient of environments for someone in a wheelchair or who has difficulty negotiating those sugar sanded shore lines. So, in our many adventures, we discovered that cruise ships can deliver a 5-star hotel experience right on the ocean and most of the stops are completely accessible. For the odd ports of call that aren't, the cruise ship crew make sure you are taken care of in their dogged pursuit for excellence of service and customer care! On our most recent cruise, we did a 7-day cruise leaving out of Galveston, TX. We visited Jamaica, Grand Cayman, and Cozumel with Carnival. First off, our accommodations were amazing. We stayed on the Lido deck (where the main pools and restaurants are) in the forward of the ship. We had an ocean view room and it was the largest room I have ever seen on a ship. You might think, "It was noisy right?" Not at all! The rooms are removed from the Lido deck via several doorways and we couldn't even hear the neighbors in their rooms. The bathroom was very workable with a roll in shower. Service from our porter on the floor was just amazing. He made sure we had everything we needed and took special care due to my physical situation to be sensitive of stuff in the hallways from the cleaning crew. The entire ship was accessible to me via the elevators. 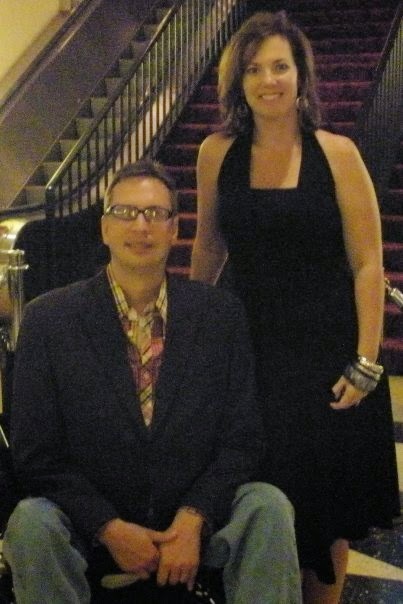 At the shows each evening, they would instruct us to arrive about ten minutes early so we could be seated in great locations where my wheelchair would not be an obstruction to anyone and we could see the shows in style. They made the trip very comfortable. A big tip about cruise ships is that you will be surprised at the very healthy people who take the elevators instead of the stairs. We had great success in planning our elevator rides during a major meal or show to avoid long waits. Give a lot of grace to people that do not understand that the elevator is your life during that trip. You can choose to sabotage your trip with anger and frustration or just know it's coming and get over it. So, the ship was great, but what did you do in port? Glad you asked! Grand Cayman is one of the cleanest and coolest little places I have ever visited. Everyone was super classy. Being a territory of the United Kingdom, they drive on the left and your dollars will not go as far there, but I am willing to pay a little more for service like this. First of all, Grand Cayman is one of the stops that the cruise ship cannot dock to. You board a water taxi to go from the ship to the shore. This was done expertly by the crew. We signed up for the stingray encounter and were driven by accessible bus to the dock to pick up the excursion boat. After a 20 minute ride over gorgeous reefs we arrived at a very shallow sandy area out in the middle of well....nothing but stingrays. 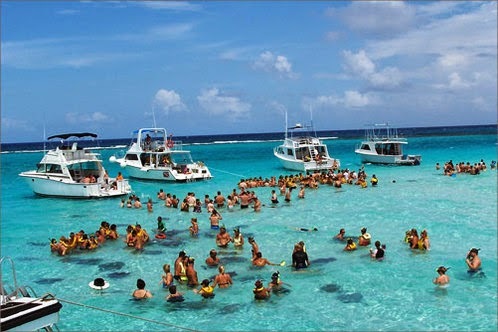 The crew slid me into the water and the captain personally escorted my wife and I around to see the stingrays. It was epic! 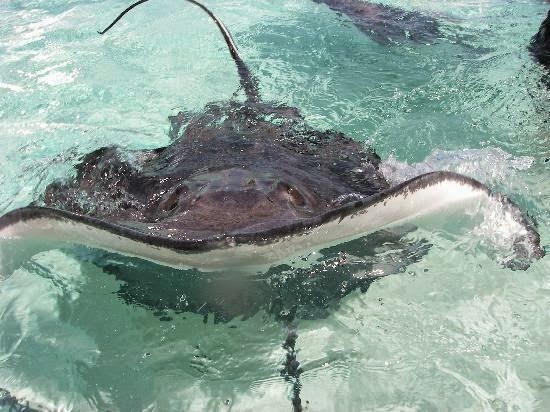 These stingrays are very large and quite like a big Labrador Retriever. They swim right up into your arms and love to get a scratch from you on their backs. The captain even brought their favorite treat - squid and we got to feed them by hand. It was truly an incredible experience, and I would encourage anyone to jump right in (excuse the pun)! Cozumel is a very special place for my wife and I. We have visited the island about 6-7 times and are truly in love with the people there. We are very spoiled because one of the pastors on the island is a personal friend, and he sets us up every time we come down for a visit. 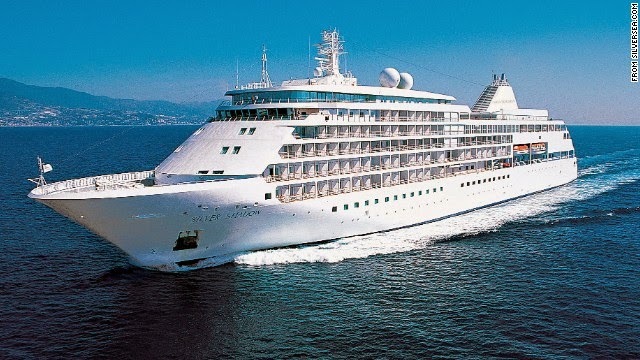 It is advisable that you use one of the excursions available on the ship as they do a fantastic job of making sure everything is accessible and your needs will be covered. The ship docks right up to a concrete warf, so no water taxis here. Having said this, there a few tips and tricks you need to know about Cozumel. Number 1 - Taxis. AHAHAHA! I know right? Taxis..really? No, REALLY! This can be a real point of frustration for you if you don't know the system in Mexico. Agree on a price and be certain you are agreed to the price before taking the ride. TRUST ME! All tourists must ride in taxis in Cozumel. A local can receive a ticket if they are caught giving a tourist a ride. You can rent vehicles to avoid this, but again make sure everyone understands the exact amount you are paying for the vehicle and it's in writing before taking the car/van/jeep. Number 2 - Shopping! A few miles from the cruise terminals is the downtown square and a really neat shopping experience. You haggle the prices here and don't be afraid to go low. When the vendor doesn't like your price just start walking or rolling away as the case may be and you will be pleased with the outcome. If they let you go the first time, slide back by just before leaving, and it is amazing how the prices change. Number 3 - Explore. The people of Cozumel are some of the sweetest people I have ever met. Knowing some Spanish will be very beneficial, but most restaurants will have things in English also. Go beyond the cruise ship terminal to discover the real thing. Fishing is amazing and many of the guides are awesome (Know the price before leaving..wink!). If you have people that can help you, a true secret spot is called Dzul Ha. It is a public park that is open to anyone with a fabulous tiki bar/restaurant. The is that just off shore is where all the cruise ships bring their snorkeling excursions. 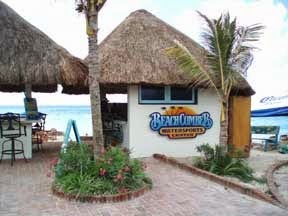 It's not a far ride by taxi, and you can rent snorkeling gear from the tiki hut. There is no cost to snorkel here BUT, be sure to buy something from the bar/restaurant as you are using there space and it is customary that you patronize since they aren't charging you to gain access to some of the best reefs on the island. FYI - Dzul Ha is not an accessible area. It is very rustic with stone steps going down to the water. HOWEVER, I have been there on multiple occasions, and everyone helped me get me in the water and helped yank me out when I was finished. I told you the people are sweet! WARNING - the current is an issue so be sure you have someone who is a strong swimmer with you at all times unless you want to wind up in South America or Texas. Jamaica...hmmm. I am sorry to report, but Jamaica was not a great stop. We asked for an accessible van to take us in to the main town for lunch and shopping and the taxi guys in Jamaica wanted to charge us $140 for a round trip. After politely explaining to the gentleman that he was insane, we shopped in the terminal, got back on board the ship and ate for free all day. I am committed on this blog to give you the truth. I am going to share the touchdowns and the interceptions. Visiting Jamaica from a cruise ship was an interception. Adventure is something that simply cannot be had from a couch. It must be pursued out there on the water, in the wild or on a ship. The cruise ship continually becomes a better experience each time we go. From the 5-star accommodations to the first-class service, it is hands down one of the easiest, no-brainer trips we have made. If you would like to contact Carnival's guest services for special needs, Click Here. In this week's article, we take a break from our typical fishing and hunting stuff for a travel segment for those of you interested in going to New York City - w00h00! First let me say that New York is an amazing place and anything that you like to do can be found there. We spent a week there before my son's wedding in Brooklyn, and we had a blast. Hopefully, you will find this article extremely helpful in your planning for your trip because there are some great opportunities to take advantage of and some land mines to avoid. Where to Stay - Wow, the options here are vast. One big tip is locate your hotel closer to the area you want to concentrate your visit to the Big Apple. Hindsight being 20/20 and all we likely should've stayed a bit closer to Time Square than we did because it would have been more central for the activities we were enjoying. I don't regret at all where we stayed however because square footage comes at a premium in New York. 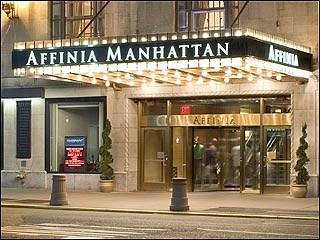 We stayed at the Affinia Manhattan Hotel which is located almost directly across the street from Penn Station and only a block or so from Madison Square Garden. The handicapped-accessible room was very large in comparison with other hotel rooms and was completely accessible - even the shower. The hotel was located in the mid-town area and Time-Square was reachable on foot in about 15 minutes. We got a great bargain by booking it through one of the many travel sites that are available that help you find deals. How to Get Around - New York is famed for it's incredible mass transit systems, and it by far was the least expensive and easiest option available. It was a flat fee for a full week and allows you to take the subways and buses (most of which are wheelchair accessible). Be careful to check with the transit authority and mark which subway stations have an elevator for accessibility. The next question to ask is - ARE ANY OF THESE BROKEN? You can find a station with an elevator out of service and that can truly wreck your plans if they are time sensitive so plan ahead. For more info on the public transit site Click Here. Getting an accessible cab from the airport will be fairly simple. Getting one from the hotel back to airport can be an adventure. Be sure to leave yourself some additional time for them to screw up and not send an accessible cab to your hotel...it happens. Be patient and don't get upset. The cabby kind of has your flight in his/her hands. Another thing in New York that is really nice is that you can rent electric wheelchairs. These companies can change so I am not going to post any one in particular. We rented a chair that worked adequately and gave me some freedom to explore on my own which I like very much. These chairs will likely not be overly fancy but will serve the purpose. One idea that I have had is to take the Amtrak train to New York so I can bring my electric wheelchair from home. It can be expensive but would also give me great comfort in knowing what to expect once I am there. Lastly, bathrooms can be tricky because so many building have been grand-fathered in and are not exactly ADA compliant. Find a few that work and know how far those are from where you are...this is important! What to Do? 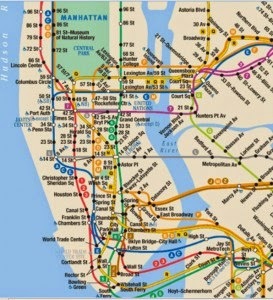 - The very fun thing about New York City is that everything is within a 20 minute subway ride. From baseball in the Bronx, to Central Park and the famed Museum of Natural History, to Little Italy and Chinatown, to Wall-Street and ground zero, all of it is within minutes of any location in the city which is amazing. 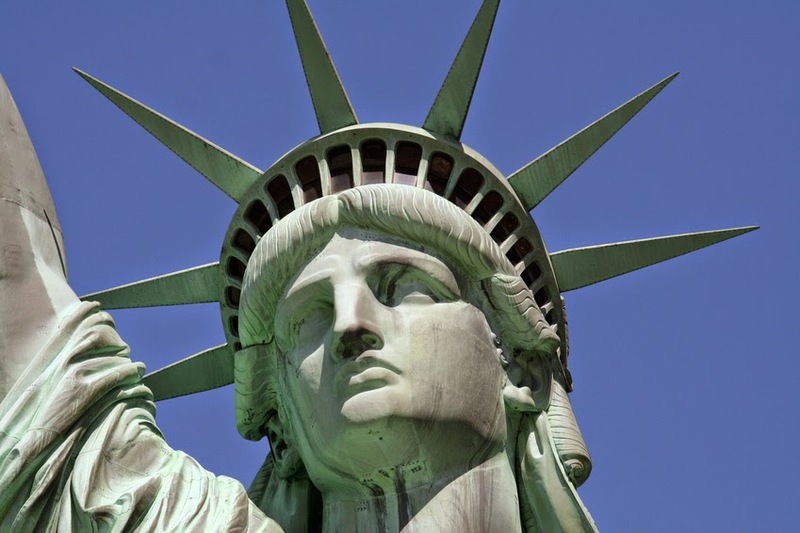 A few things that I think are a must is of course the Statue of Liberty. The day tour is awesome but is extremely time consuming. The Stanton Island Ferry is free and goes right by the Statue. Saves time and you still get to see it and pop that photo op. Next is one of my all-time favorite funny men - Late Night with David Letterman. The tickets are free and you have to sign up way in advance at the shows website - Click Here. The show was amazing to watch and better live than ever on the tv. You get to see Letterman while they break for set changes where the commercials are going to go in, and he is hysterical. It's just not a complete trip to New York City without a Broadway Musical. Guys, listen to me on this! You will earn lots of bonus points for putting on some khakis, a nice shirt and jacket. Wine and dine her and then take her to a show. Here is the unknown - Many of the theaters are accessible, but some are not! It is critical to check this out before buying your tickets. Everyone is very helpful and will make sure you are taken care of correctly. The Empire State Building is another favorite, and I should mention challenging for anyone in a wheelchair. There were so many people on the observation deck that it was difficult to get around. Be patient and try not break too many ankles with your chair, but the view was incredible and worth it! Don't forget to Eat - New York is well known for it's restaurants, deli's, cafes and markets. One of the finest things in life is the sheer pleasure of eating and you can find literally anything you want to tease your taste-buds with. If you enter a restaurant or see one from the street that appears to not be accessible at first glance, be sure to ask. Many times they will have multiple entrances and one of these may in fact be wheelchair accessible. I want to point out something that can get over-looked when visiting the city and that is the markets. There are little markets all over the town that not only sell some of the freshest produce I have ever sampled but also cook and provide a take-out meal. These places do not get the fanfare that the restaurant style establishments get, and it's a big mistake. Try some of them because you will not be disappointed. The New York City streets were one of the best adventures I have ever been on. My wife and I had a blast and I cannot wait to hear from you and your adventure to the Big-Apple. I fished for a large portion of my life standing in a bass boat or prowling a bank up-right and on two legs. But for the past 10 years or so this became impossible, and I was limited to a scooter or wheelchair. This reduced good fishing water for me drastically. Getting a wheelchair through thick brush or soggy bogs wasn't an option. I can still be placed in a boat seat, but it is still not what it once was. As this transition took place I had to become ever creative in finding good areas to pursue my passion of fishing. I hope my trial and error will help you out in giving you some prime destinations you can try too! State Parks can be a wonderful option. State Parks are usually located on some of the best waters in the country and many times will have a wheelchair accessible fishing area. Guides who are associated with these bodies of water are typically very accommodating in assisting people with special physical limitations to get out there and chase their passion. I have also noticed that many of these parks' waterside areas are kept fairly clean in there grooming of lawns and such so that someone in a wheelchair can access the water. An examples of this is Lake Fork in Texas which is world renowned for being a big bass lake. It has a park on it with an accessible fishing pier. The lake also has a plethora of guides to contact and work out any details you may require to fish from a boat if that is still an option for you. The next secret spot I am going to share is one you likely have not thought of, but I have found can be an excellent resource - Golf Courses! This is not a place you just roll onto and go for it. Talk with the pro who runs the course to get permission and be instructed on what you will and will not do. Abide by golf course etiquette and ever watchful for the game that is going on around you. Let me say this - DON'T EAT THE FISH! AHAHAH! You don't want to turn into the Incredible Hulk and the golf course doesn't want the lawsuit...just saying. 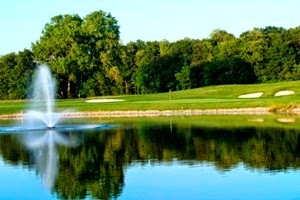 These things aside, a golf course can be one of the most enjoyable fishing destinations you will ever encounter. As there is very low fishing pressure on these ponds, the fish are typically very aggressive and will hit just about everything in your tackle-box. Because the courses are very well groomed, accessibility is usually much better around the edges of these small lakes and ponds. Be alert for the word "Fore!!!" The next spot is a real, true-blue secret destination but is usually one of the easiest to get permission to fish. Check your local area for Christian or secular camp and retreat centers. These places are amazing and hands down one of my favorites. 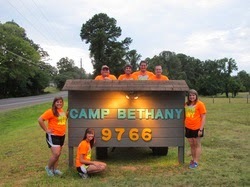 Lots of people have been to summer camp. There is always a lake that everyone goes to and catches bream right? Trust me, that ain't all that is lurking in those waters! In the camp near my home-town, I have routinely caught bass ranging from four to eight pounds. I always giggle when someone calls the place the Dead Sea because they have never caught anything but a bream or catfish there. Believe me, large swimming beasts are located in those 3 acre lakes. Like golf ponds these camp facilities are typically very well maintained making a great area for my electric wheel-chair to handle the fishing experience. An added bonus for most of these places is that there is usually a handicapped accessible bathroom in one of there buildings which can be a very good thing. I have developed a wonderful relationship with the couple who runs the place near my home-town and they have given me freedom to come fish anytime the gate is open...and I do! I received that freedom by respecting the place. Don't take big fish home with you - Catch and Release is a good policy for most of these type spots. I have also helped them out by taking care of the pond over time by aiding in the eradication of certain types of animals they did not desire in their pond. These little things are huge in building a great relationship with people. As we wrap up this week's article, I wanted to touch on the obvious locations for fishing from a wheelchair - a farm pond is hard to beat! If you know someone with a farm pond, there is a great chance they will let you fish it by asking first. I simply cannot over-state this fact: People are usually very generous and will accommodate others who are physically challenged with what God has blessed them with so long as those folks are polite, courteous and willing to follow the rules as laid out by the property owner or manager. As always, I hope this will help you get out there and enjoy the creation a little more. Here is a bit of a teaser. I will begin writing on hunting tips starting in August so stay tuned in for that! Happy 4th of July to you and yours!